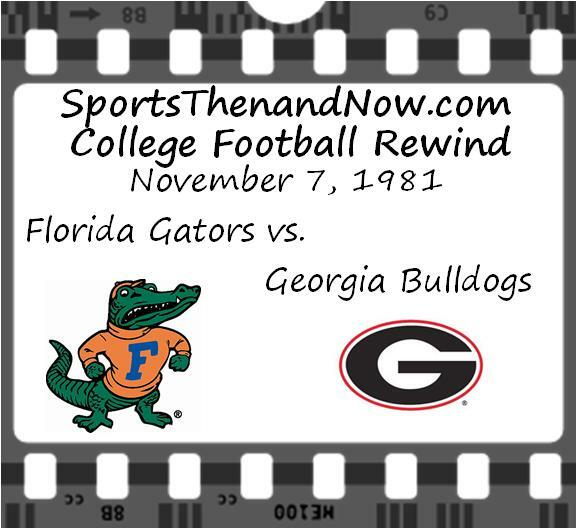 In 1980, the greatest moment in the rivalry between the Georgia Bulldogs and Florida Gators occurred when Georgia quarterback Buck Belue connected with Lindsay Scott on a 93-yard touchdown pass in the final minutes to give the Bulldogs a 26-21 victory over the Gators and helped propelled Georgia to the national championship. One year later, Florida looked for a shot at redemption as they met the defending national champions in Jacksonville. 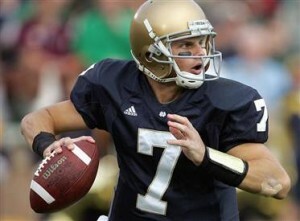 The Gators entered the game with a 5-3 overall record and 2-2 in the Southeastern Conference. Florida was led by third-year head coach Charley Pell, who had turned around the Gators following a 0-10-1 season in 1979 to a 8-4 season in 1980 and a win in the Tangerine Bowl. While Florida is trying to become a consistent winning power, Georgia was in the hunt for a second straight national championship despite an early season loss to Clemson. The Dawgs were the #4 team in the country with a 7-1 record on a team that featured only nine returning starters from the 1980 championship team. However, three of the returning starters were the two heroes from the 1980 Florida game in Belue and Scott, and superstar running back Herschel Walker. Though the first eight games of the 1981 season, the sophomore had gained 1,309 yards on 265 yards and scored 11 touchdowns as he rushed for more than 100 yards in every game to this point. In the Dawgs’ showdown with the Gators, Walker put together one of his finest performances as a Georgia Bulldog. 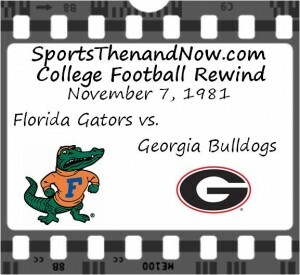 Florida got the ball to start the game and drive from their own 24-yard-line to the Georgia 20-yard-line until Peace was sacked twice, knocking the Gators out of field goal range. 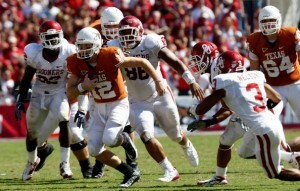 Colt McCoy and the Texas Longhorns held on to defeat the Oklahoma Sooners and remain undefeated. None of the top three teams in college football looked all that dominating this week, but they all took home the “W”, which is really all that matters. With the first official BCS rankings coming out this week, we will get a sense of where everyone stands, but the reality is that Florida, Texas and Alabama all have their destiny in their own hands. The rankings will merely give us a better idea of which teams will step forward if any of the frontrunners stumble.